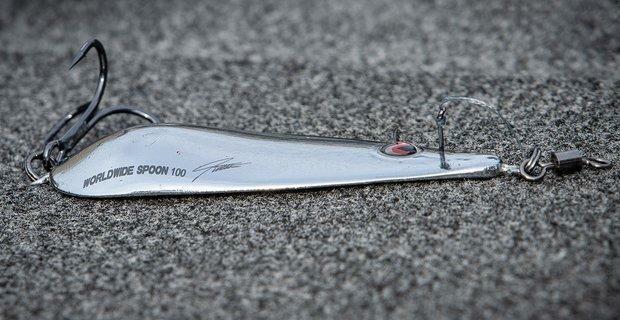 One of my favorite ways to catch bass is on a big spoon. 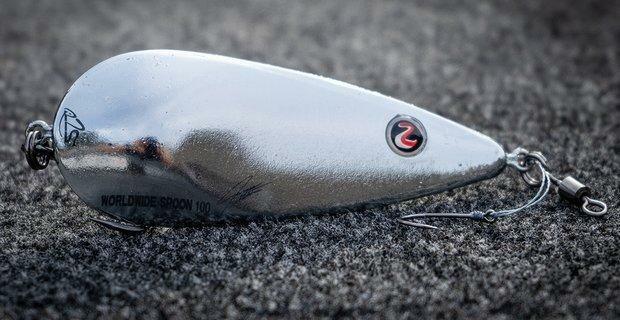 I’ve been catching them on one on Kentucky Lake for a decade now, and I had been looking forward to trying the new River2Sea James Watson Worldwide Spoon. Watson famously won a Major League Fishing event where he came back to win after finding a winning school of bass suspending under a single floating dock with a flutter spoon. 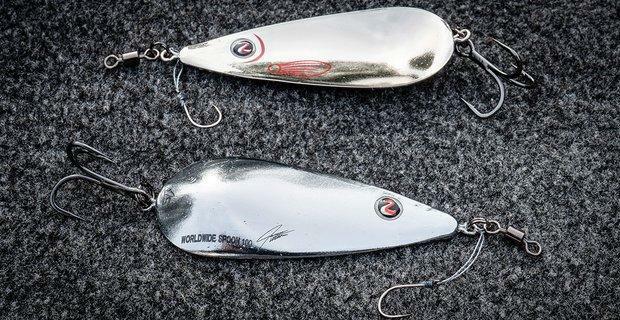 I had a couple of the Worldwide spoons sent to me before they went into production, and I was able to put them to the test about a week later on Table Rock chasing largemouth, smallmouth and spotted bass suspending in deep water around trees and under floating docks. 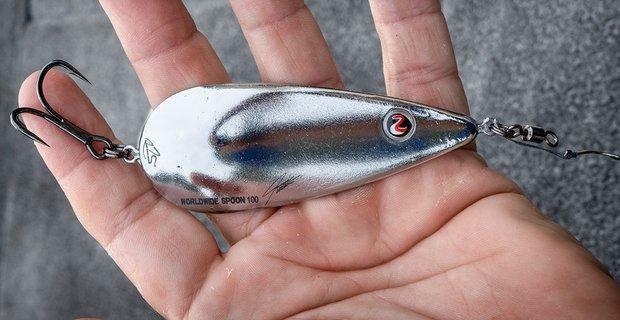 The Worldwide Spoon has some unique design elements to it that give it some original characteristics in the water. The first is a deeper swept cup in the belly of the spoon with a thickness that tapers from the middle both directions to the belly and to the tip. 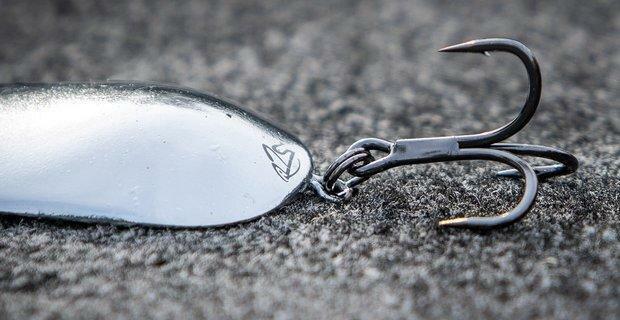 This design gives the spoon a unique flutter and rear swimming fall unlike other spoons. The Worldwide Spoon would go way up under docks on the fall as it fluttered off I'm guessing in the direction of the belly as it falls and flutters. The spoon is wide at the belly and narrow at the tip giving it a more cone profile than some of the other large flutter spoons. It measures 5 inches long and weighs 1 ounce. It has a 4X strong No. 2 treble hook on the belly and No. 6 single stinger on the nose. This stinger hook attaches with a short braid leash that doesn't tangle in your line or catch the other hook. I hooked and landed several bass on the single hook stinger alone. 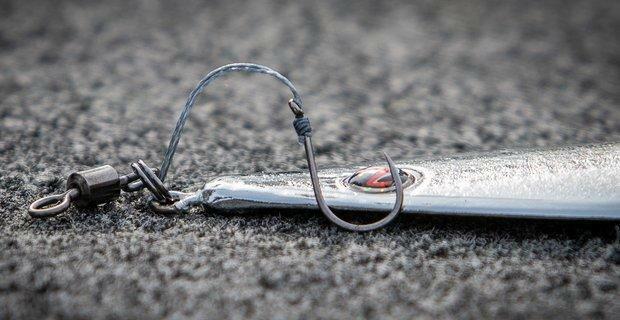 In fact it's the hook you have to worry about catching on your carpet or other stuff because it is so sticky sharp. I had a couple of doubles at Table Rock on the Worldwide spoon. Nothing real big, but I'm very pumped about the fact you can double up on this spoon. I will probably play around with adding a little bit of mylar to the stinger to give it just a hair more attraction to get those follower fish to grab it more often when another bass is hooked. I think you can land them two at a time no problem on this spoon. The spoon looks good not matter what angle the fish looks at it. Big eyes on both sides, features like scales, gills and such on some models as well. I fished it on both 15-pound fluorocarbon and 17-pound fluorocarbon. The spoon flutters and moves well on both lines, so I don't think you will have any issue with any of the line sizes you choose to fish it on. I know around and under docks I will probably go up to 20-pound. I also found I was able to get the spoon off most of the trees I hooked out in deep water. I just used the knocking trick where you get above the spoon and pop the slack so the spoon will bang against the tree. Just keep doing it and giving it slack until it works itself loose. I ended up losing both of the spoons that week on Table Rock on dock cables. That's an inevitability of using these spoons around metal wire, ropes and other things near docks. Part of the reason the spoon is so good is it uses heavy duty hardware. You really lean on them when they bite and I didn't lose any fish that I hooked in a week of fishing. That 4x treble hooks and holds them well. I also think that bigger hooks helps you get it back. Light hooks can be hard to get out of soft wood if you can't bend them out. Most of the time with the Worldwide Spoon, if I could get right over the spoon, I got it back by popping it with the rod tip until it worked loose. But it carries quite a ways because of that rear swimming action, so you can't always get over top of it. You can slow pull the spoon or rip it hard equally well. I played with both retrieves as well as just a sharp pop of the rod tip. I caught a lot of bass I saw on my graph just dropping the spoon on them, letting it go slightly past them and then just popping it a few inches with the rod several times in a row. The spoon is not unwieldy. I fished it on a Lew's Mark Rose Ledge Series Swimbait rod. I think you could fish it easily on a 7-foot, 3-inch heavy rod with a bit of fast action in the tip to pop it around. The spoon carries a bit more than some of the other spoons, so it does take a bit to get used to how that feels and moves on semi-slack line on the drop. But once you get in a rhythm, it's a fish catcher. Since they were publicly released a couple weeks ago, I put in a big order at Tacklewarehouse.com to stay stocked up with them. I'm anxious to play around with more applications for them. Check them out online or visit your local retailers that carry River2sea as they are available now. I've already caught a bunch of nice bass on the Worldwide Spoon and looking forward to going back out with it this month. 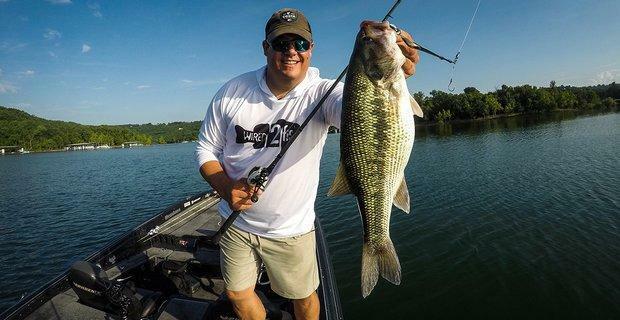 Check out James Watson fishing and talking about the Worldwide Spoon in this video.